Our vision is for the people we work with to live meaningful and independent lives in a world which supports them to achieve their own ambitions. For 30 years Sense Scotland has been working with people who have communication support needs and believes everyone should have a choice in how they live their life. People we work with include those who have sensory impairment, deafblindness, autism, learning or physical disabilities and healthcare support needs. Sense Scotland offer Care at Home and Housing Support to a growing number of people with disabilities in the Fort William and Skye area. We are currently seeking to recruit both contracted and sessional staff to support people with communication support needs and a physical or learning disability to live valued lives in the community. We are looking for creative, motivated, experienced Support Workers who demonstrate impeccable standards of practice and a high value base at all times. It is desirable that you hold a valid driving license. Previous experience is not essential as Sense Scotland provides a comprehensive induction, together with a full training programme which utilises both e-learning and face to face courses to equip staff to work as part of a multi-disciplinary team providing support in a safe and fun environment. You will also be able to access health training from the NHS to develop your skills in relevant areas. Individual’s needs are identified and met in practice in accordance with their Outcome Based Support Plan (OBSP). You set and demonstrate good standards of work practice by offering support and on shift coaching to others through example. You guide new staff, students and volunteers in providing a welcoming responsive, flexible and integrated service provision that reflects and meets the needs of individual’s and their family. The individual’s OBSP is implemented and is updated to reflect any day-to-day changes in their needs, notifying the manager and senior staff of any aspects of support that cause concern or require adjustment. You work as part of a rota prepared by senior staff and that you are punctual and fit for work when coming on shift. Proper record-keeping, including recording incidents and complaints are maintained and passed to the appropriate manager, as soon as possible. You have a good working knowledge of the guidance and the operational handbooks and that you provide the required support to others in applying these into practice. Be aware of the responsibilities of individual in relation to their tenancy agreement, where appropriate, and support them to meet these. Support people to apply into practice all the principles of safety in the home as agreed with the Registered Manager. Support people to apply the principles of healthy eating and personal and household hygiene into their daily living as agreed with the Registered Manager. Where an individual shows behaviours that present a challenge to staff you will ensure that all agreed intervention strategies are implemented into practice. Where risk assessments are in place you will ensure that the appropriate steps are taken to apply the guidance into practice. Our service can offer exciting opportunities and a good career path for the right individual. Access to extensive face to face and online training as well as team development will be offered. In return we will need you to be motivated, a good team player, sensitive to the needs of individuals, families and colleagues and come with a positive can do attitude, with a sensible approach to keeping people safe. A willingness to learn and a positive approach to making every day count in the work that we do is essential. 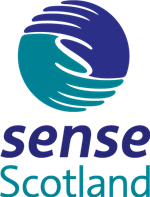 Sense Scotland offers an extensive range of employee benefits including; Ongoing training and development, generous annual leave entitlement, flexible working, family friendly policies, contributory pension scheme, employee assistance programme, cycle to work scheme, death in service benefit and Perkbox membership. Be in a position to gain qualification as determined by the SSSC for registration purposes. Have evidence of core skills in numeracy and literacy. IT skills i.e. Microsoft Office and HR database systems.